TBT History: Lost in the first round to the Talladega Knights in 2016. Lost in the Super 16 in 2017. 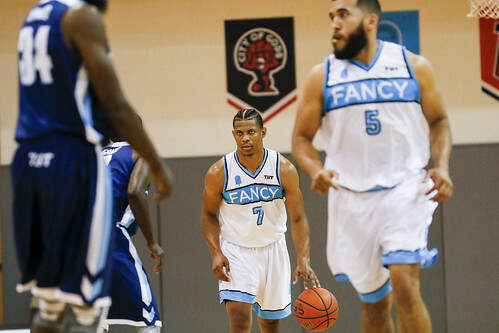 Nutshell: Comprised almost entirely of professional hoopers from New York, Team Fancy is hoping to take the $2 million back to the Big Apple. 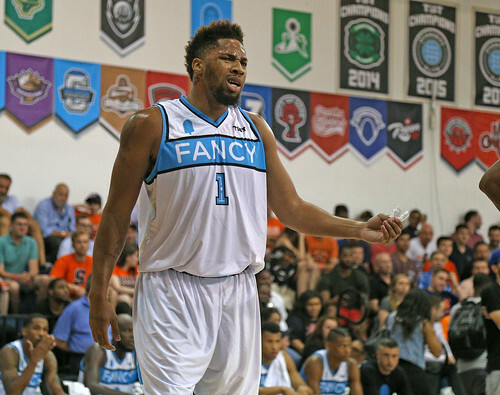 Fancy has had several well-known boosters over the last two years including The Game, JaVale McGee, Yogi Ferrell and Frank Mason III. 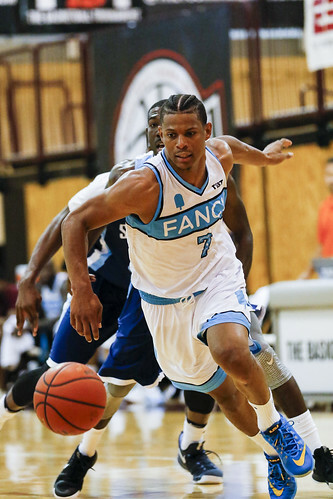 Delroy James and Ra'Shad James each scored 14 ppg for Fancy last summer. Scott Machado, who has NBA experience with the Rockets and Warriors, averaged 13.7 ppg in TBT 2017. Atlanta Falcons wide receiver Julio Jones showed up in support of the team at the Super 16 in Brooklyn. After a triple-double in an opening-round rout of Dubois Dream and a 13-point effort in an overtime win over Gael Nation in Round 2, Brandon Triche had been quiet for the first 35 minutes of the Super 16 in Brooklyn. But, that was before Triche drilled a go-ahead 3-pointer with just under a minute remaining and scored his team’s final seven points to give #3 seed Boeheim’s Army a lead they would never relinquish in a 65-61 victory over #7 seed Team Fancy. Eric Devendorf, who scored 23 points in the second-round, overtime victory, poured in a game-high 19 points in the win for the Syracuse University alumni squad, which returns to the regional title game for the first time since 2015. Ra’Shad James scored 14 points in the loss for Team Fancy in a back-and-forth contest that featured both nine ties and lead changes. Boeheim’s Alumni advances to play Team FOE in the Northeast Region championship game on Sunday, July 23rd at 2:00 PM ET, live on ESPN. After two days of wild finishes and game-winners, it was only right that the last game of the weekend was a huge upset. With Boeheim’s Army winning earlier in the afternoon, a win from SuperNova would set up an old Big East matchup between Syracuse and Villanova alumni in the Super. Only problem was Team Fancy is trying to take home $2 million, not revive old rivalries. Fancy came out with serious energy and it didn’t take long for them to build a double-digit lead. Ice cold shooting from Nova didn’t help their cause. The Wildcat alum shot 32.4% (11-34) from the field in the first half, including just 3-11 (27.3%) from three-point land. All of that combined for a 44-28 lead for Team Fancy at halftime. Fancy kept SuperNova at bay for most of the second before Nova made a charge late in the second half. A fast break bucket would have cut it to a one possession game with a couple minutes to play, but Nova couldn’t capitalize. The big first-half lead proved to be too much to overcome and Team Fancy knocked SuperNova out 82-74. 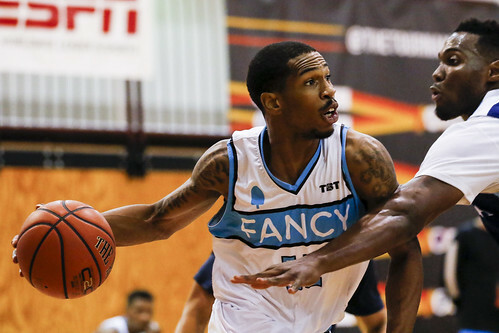 Delroy James came to play for Fancy, putting up a game-high 21 points (7-13 FG) and grabbing eight rebounds. 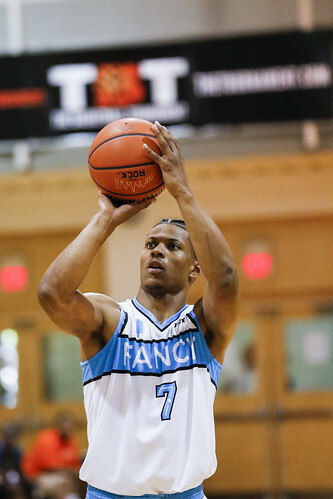 Kyle Hunt added 15 points and seven rebounds as well and Team Fancy was 25-26 from the free throw line on the day. Reggie Redding led the way for Nova with 19 points, but shot just 6-20 from the field. Team Fancy is back in action July 20 at 7p.m. in Brooklyn, NY. Team Fancy defeated the Rebel Riders, 78-70, to move on to the next round. 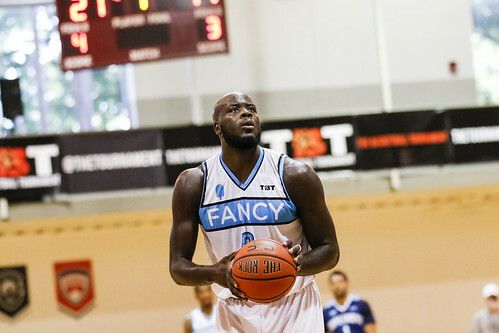 Delroy James of Team Fancy led the team points with 18, while Scott Machado scored 17 points and made seven free throws. Ramone Moore of Rebel Riders scored 20 points, followed by Jason Thompson with 14 points and 18 rebounds. Team Fancy made 10 of their three-point attempts, while Rebel Riders made 5 attempts. Talladega Knights sank seven of its eight free throw attempts with less than a minute remaining to hold on for a 108-105 victory over Team Fancy on Saturday in Philadelphia. 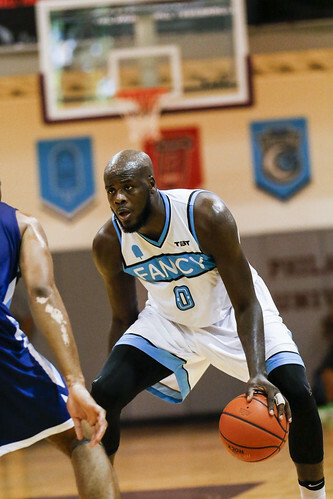 Team Fancy's Shane Gibson, who finished with 28 points and seven 3-pointers, hit a triple from the left corner to cut the deficit to one, 101-100, with exactly 60 seconds left on the clock. But, trailing 106-104 with 7.7 ticks to go, he split a pair of free throws that could have knotted the score. Manny Quezada of Talladega Knights made all seven of his 3-point attempts and finished with 32 points and five assists, both game highs. 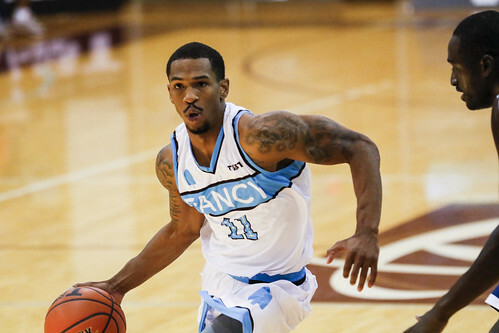 Kevin Parrom paced Team Fancy with 30 points, including 18 from beyond the arc.